Co2 Regulator with Dual Gauges and 0-50 PSI working pressure, 60lb. & 2000lb. gauges, tank fitting, 5/16" barb shutoff with check valve, cap. 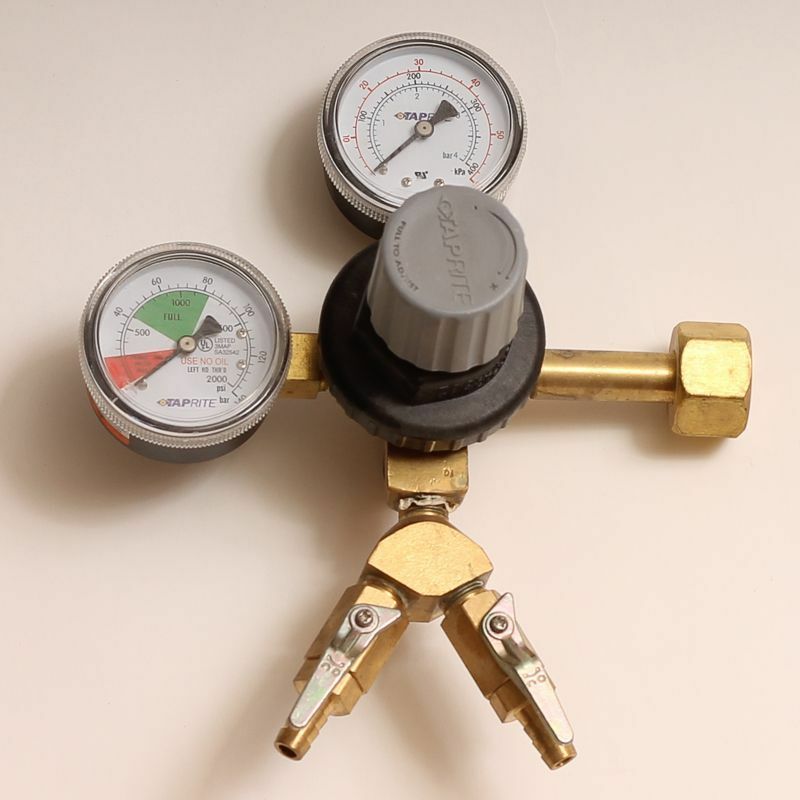 Regulator features a wye splitter to distribut gas to multiple tanks.